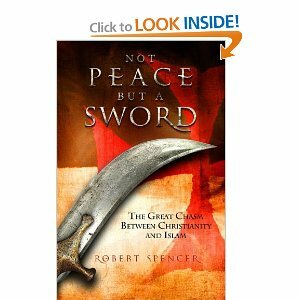 This book is his most interesting yet, as it makes the case for the fundamental disagreement between Christianity and Islam. Spencer writes: “One of the oddities of contemporary ‘interfaith dialogue’ is that all too often, out of overzealous irenicism, it glosses over, or ignores altogether, the disagreements between religious traditions, as if pretending that they didn’t exist would make them go away.” He expands on the vast differences between Christianity and Islam on the character of God, Jesus and Divine Revelation; the nature of truth and the moral law; religious freedom and other basic rights; life issues, marriage and sexual morality, including the rights and dignity of women. An example of this great divide: Converts from Islam to Christianity are often hunted in the Muslim world, where virtually all Islamic authorities agree that such individuals deserve death. In fact, Muhammad himself commanded this: “Whoever changed his Islamic religion, then kill him” (Bukhari 84:57). In Egypt, at Cairo’s Al-Azhar University, the most prestigious and influential educational institution in the Islamic world, an Islamic manual states that a person who has reached puberty is sane, and if he voluntarily apostatizes from Islam deserves to be killed.